Just like its previous installment, the Zhuhai Air Show 2018 had a special event for China’s military “land systems.” These are meant to advertise tracked and wheeled vehicles produced by state-owned companies for export abroad. 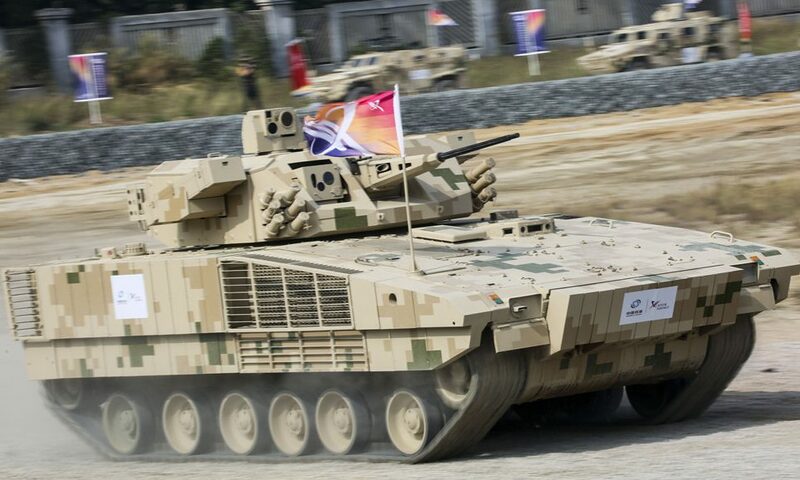 Norinco’s offerings overshadowed the rest of the participating exhibitors with three main battle tanks and several armed troop carriers unleashed on an obstacle course for maximum visibility. One eye catching contender in the lot was the VN17 tracked infantry fighting vehicle (IFV) that looked like it can take on its betters from around the world. But long after Zhuhai Air Show 2018, and two years since its first public appearance, the VN17 hasn’t inspired much enthusiasm…anywhere. How come? The VN17 conforms to a familiar layout among current-generation IFVs. It isn’t used by the PLA, however, who deploy multiple types of infantry transports. Neither should anyone assume it was built to imitate “Western” IFVs such as the Bradley or the Warrior. The VN17’s appearance subscribes to the prerequisites for today’s IFV’s but goes a little farther. The unmanned turret, for example, supports a 30mm cannon with a coaxial light machine gun and two anti-tank missiles. It’s possible these are HJ-12 or Red Arrow 12 top attack missiles judging by the angle they’re positioned in. 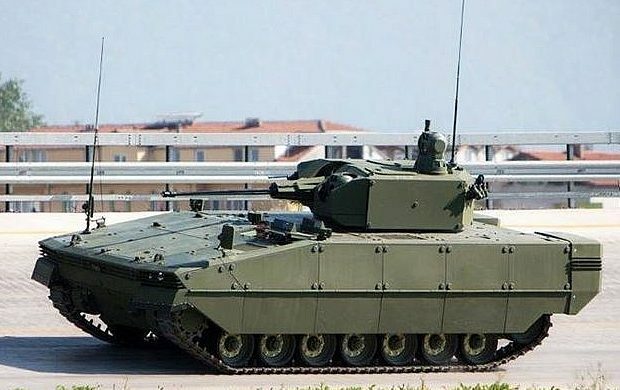 The Otokar Tulpar from Turkey looks like it can get along with the VN17. Weighing just 30 tons, the VN17 is light enough to be carried in the belly of a medium transport like a C-130 or a Y-9. A quartet of VN17’s can fit inside heavy transports such as the Il-76 and the Y-20. The only other pertinent details about the VN17 shared by Norinco is it manages a top speed of 70 kilometers per hour on an unnamed engine type although it’s claimed the VN17 has numerous commonalities with the Norinco VT5/VT-5 light tank. Operating the vehicle requires three crew (commander, driver, gunner) and there are seats in its passenger compartment for eight soldiers who enter via a hydraulic ramp with an integrated swing door. The two distinctive sights on the turret look like a gunner’s day/night thermal optics beside the 30mm cannon with the commander’s periscope on the roof. The armor protection on the VN17 is substantial compared to the PLA’s own IFVs such as the Type 85 (a BVP M-80 clone), Type 86 (a BMP-1 clone), and the ZBD-04/08 (a BMP-3 clone). At first glance, there doesn’t seem to be a vulnerable part of the hull, with reactive bricks arranged in a row across the front and add-on armor plate over the glacis. A combination of spaced panels and cage or slat armor form thick side skirts on the hull’s flanks. Despite glowing publicity from Chinese media and unmissable appearances at arms shows–Norinco displays scale models of its vehicles when exhibiting abroad–the VN17 hasn’t won over any customers. This is rather disappointing when armies who need to replace old AMX-10C or BMP-1 IFVs are well-served by acquiring the VN17. Perhaps Norinco’s marketing efforts to date haven’t succeeded at raising awareness about the VN17, whose prospects in Central Asia, the Middle East, North Africa, and even South America are decent enough. The ST Kinetics NGAFV looks promising too. 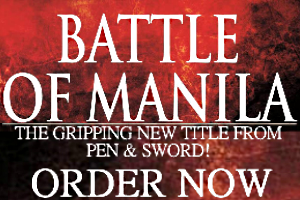 It’s the only one of its kind in Southeast Asia. An ideal hypothetical customer, for example, is a Chinese trade partner like Iraq whose army just acquired Russian BMP-3’s. To enhance its capabilities in urban combat and replace obsolescent BMP-1’s and M113’s the VN17 is an attractive choice for its firepower and protection level. It doesn’t hurt that Iraq’s military and internal security forces have decades of experience using Chinese-made equipment. 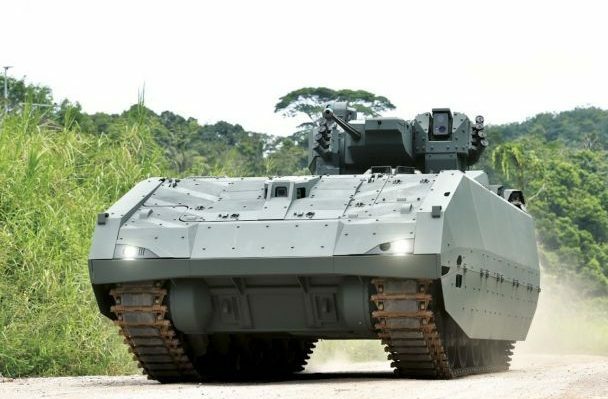 Yet if genuine interest from abroad doesn’t materialize soon the VN17 does risk joining a club of neglected contemporary IFV’s whose chances at adoption are slim owing to teething issues or outright rejection by would-be users. There are at least a handful of models in this sorry bracket: the Lynx (Germany), the Anders (Poland), the Kurganets (Russia), the NGAFV (Singapore), and the Tulpar (Turkey). Each of them possess similar external characteristics but none have made a big enough impact on 21st century mechanized warfare.